This phenomenally successful guide to the wealth and variety of fish in Australia’s tropical waters — including the Great Barrier Reef — and South-East Asia has been further updated and expanded. The book has sold more than 25,000 copies in its previous editions, and is an invaluable reference for divers and anglers, to both scientists and the lay person; to everyone with an interest in our remarkable tropical fish. Full colour illustrations by leading Australian marine artists, Roger Swainton and Jill Ruse, make identification easy. The author has also included an edibility guide. Includes detailed full colour images of some 1,600 fish in 107 beautiful plates. 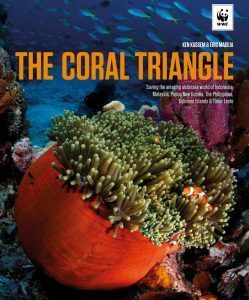 Published in association with WWF-Malaysia, this important book describes the uniqueness of the Coral Triangle region’s marine biodiversity, its conservation importance and the stories, successes and struggles of the drive to maintain its rich biodiversity. The book gives a big-picture overview of threats and solutions and up-close and personal experiences from the ground and the people affected by conservation. The stories come from the work that WWF-Malaysia and USAID Coral Triangle Support Partnership are carrying out in the region. Chapters cover the rich habitats of the Coral Triangle and the endangered species, as well as an in-depth survey of each of the countries of the area. As the earth’s single greatest repository of marine life, the Coral Triangle is also a great draw for SCUBA divers. For each of the countries covered, top dive sites are listed. 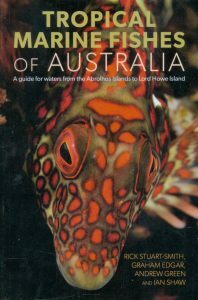 This indispensible field guide the most comprehensive of its kind covers nearly 1,100 fish species from the tropical seas around Australia. Each has a photo and concise written account. The book summarises information on marine fishes living in tropical and subtropical Australian seas, including the Great Barrier Reef, Coral Sea, Ningaloo Reef, Lord Howe and Norfolk Islands. The guide includes photographs in their natural habitats of all species likely to be observed by divers. Information presented includes results of surveys at over 1,500 sites undertaken by divers participating in the Reef Life Survey, and by the authors while cataloguing reef fish faunas around Australia and the wider Indo-Pacific region. Most species have wide distributions across the tropical Indo-Pacific, many occurring from the Red Sea and Africa in the west to French Polynesia in the east and Japan in the north. The book will be a ‘must-have’ for divers, underwater naturalists and people going fishing in sites across this large area. 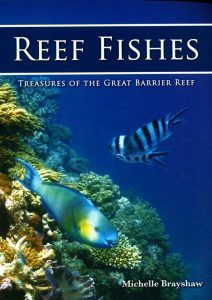 An illustrated guide to the most commonly encountered reef fishes of the Great Barrier Reef of Australia. Also includes a small section covering other commonly encountered reef life. 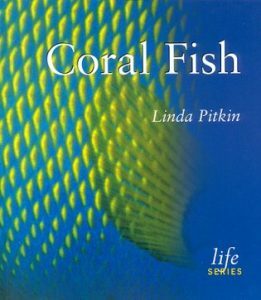 This book highlights the roles fish play in this tropical coral ecosystem. A lovely keepsake for snorkelers and naturalists visiting the area. Part of the Life Series, Natural History Museum. 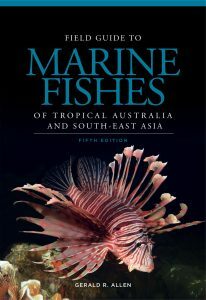 Various chapters include the coral reef environment; butterflyfishes and angelfishes; damselfishes and anemonefishes; groupers and seabasses; wrasses; grazers and crushers; bottom-dwelling fishes; nocturnal fishes; hunters; and conservation.